A total of nine appearances on the 2017 ITTF World Junior Circuit; this year on duty in Oman and Paraguay, Thailand’s much travelled Yanapong Panagitgun, alongside Singapore’s Goi Rui Xuan, emerged the successful players in the Road to Buenos Aires 2018 Youth Olympic Games - Latin America qualification tournament in Asuncion on Sunday 15th April. 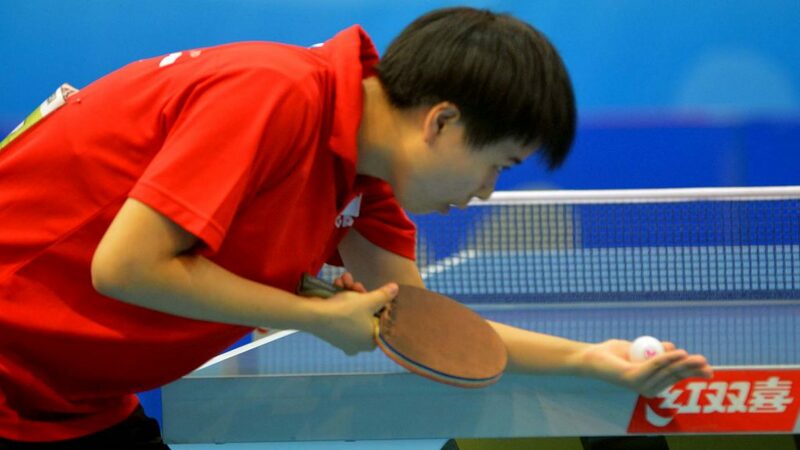 Yanapong Panagitgun won the Men’s Singles title, Goi Rui Xuan secured top place in the Women’s Singles event. The success recorded by Yanapong Panagitgun was no great surprise, the win secured by Goi Rui Xuan was not necessarily to be expected. Yanapong Panagitgun commenced matters as the top seed. In his opening encounter he beat Mexico’s Guillermo Casio, the no.10 seed (11-8, 11-5, 11-7, 11-8), before accounting for Kazakhstan’s Aidos Lenzhigulov, the no.7 seed (11-13, 6-11, 11-7, 11-7, 12-10, 11-9) and Hong Kong’s Maurice Kai Ning Ching, the no.8 seed (11-9, 11-7, 11-7, 13-11) to reserve his place in the final. Good form; that good form continued; he overcame Panama’s Jacobo Vahnish (11-8, 11-8, 11-5, 11-9) to add his name to the Buenos Aires invitation list. Undoubtedly the appearance of Jacobo Vahnish in the final was somewhat of a surprise. The no.6 seed, at the quarter-final stage he had beaten Canada’s Jeremy Hazin, the no.2 seed (11-9, 3-11, 11-9, 3-11, 12-10, 11-4), prior to accounting for Peru’s Rodrigo Hidalgo, the no.4 seed (16-14, 3-11, 11-6, 10-12, 11-9, 11-6) in the penultimate round. Notably Austria’s Maciej Kolodziejczyk, the no.3 seed, had departed proceedings in round three, beaten by Singapore’s Dominic Song Jin Koh (9-11, 5-11, 11-8, 11-8, 11-7, 8-11, 11-4) who, in turn, had experienced a quarter-final defeat when facing Maurice Kai Ning (12-14, 18-16, 5-11, 11-5, 11-5, 9-11, 11-5). Success for Yanapong Panagitgun as status advised, it was somewhat different for Goi Rui Xuan. She caused upset after upset. In her opening encounter, she beat Ecuador’s Nathaly Paredes, the no.3 seed (5-11, 11-2, 11-9, 6-11, 11-7, 11-4) prior to accounting for Kazakhstan’s Zauresh Akasheva, the top seed (11-8, 11-8, 11-8, 12-10 and Paraguay’s Leyla Gomez, the no.4 seed (11-6, 12-10, 11-5, 11-7) to reserve her Buenos Aires passport. Significantly, Leyla Gomez was very much a player in form, at the semi-final stage she had beaten Guatemala’s Lucia Cordero, the no.2 seed (11-5, 11-5, 12-10, 7-11, 12-10).